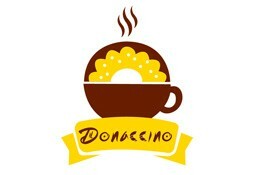 IL Donaccino is currently closed for delivery and it will open at . Donut dipped in strawberry flavoured chocolate and topped with colourful chocolate sprinkles. A drool worthy donut for all Simpsons fan. Ring donut topped with Vegan Dark Chocolate. Dipped with Peanut Butter and filled with Vegan Dark Chocolate Ganache. Go nuts with Peanut Butter. Vegan-friendly. Dipped with Vegan Dark Chocolate and filled with Vegan Dark Chocolate Ganache. Vegan-friendly. Vanilla cake in donut shape topped with Milk Chocolate and Chocolate Sprinkles. An ideal cake for donut lover. Vanilla cake in donut shape topped with White Chocolate and Chocolate Sprinkles. An ideal cake for donut lover. Red Velvet cake in donut shape topped with cream cheese. An ideal cake for donut lover. Freshly Baked Donuts With Yummy Glaze On Top. Baked Donut Topped With Finger Licking Dark Chocolate And Filled With Bavarian Custard. Cider of Apple set in a glazed Donut. For certified apple lovers. Vegan-friendly. Glazed donut topped with desiccated coconut. Vegan-friendly. No fuss. No frills. Just the regular glazed classic - D'Original donut. Vegan-friendly. Available in regular and baked options. Donut glazed & dusted with cinnamon sugar. A cinn you can't wait to commit. Vegan-friendly. Donut topped with snow sugar and Blueberry. Vegan-friendly. Ring donut topped with Lotus Biscoff biscuit spread. Vegan-friendly. Glazed donut topped with Passionfruit. Vegan-friendly. Savoury Donuts - 100% Eggless Donuts. Fantastic Fusion Of Cheese, Chilli & Salsa Giving It A Spicy Twist. Savoury Donuts - 100% Eggless Donuts. Irresistible Nachos Topped And Filled With Cheese And Chilli Flakes. Savoury Donuts - 100% Eggless Donuts. Filled And Topped With Chips Oman And Creamy Cheese With The Right Amount Of Chilli Flakes. Savoury Donuts - 100% Eggless Donuts. Fusion Of Cheese, Chilli Sauce And Pofaki Chips. Filled Donuts - 100% Eggless Donuts. Snow Sugar With Blueberry. Filled Donuts - 100% Eggless Donuts. Cider Of Apple Set In A Glazed Donut. Filled Donuts - 100% Eggless Donuts. Dipped In White Chocolate & Nozzled Mixture Of Coffee Cream With Crushed Coffee Beans. Filled Donuts - 100% Eggless Donuts. Whipped Cream & Dark Chocolate With Cherry On The Top. Filled Donuts - 100% Eggless Donuts. Combination Of Milk Chocolate & Dark Chocolate Topped With A Buzz. Filled Donuts - 100% Eggless Donuts. Milk Chocolate, White Chocolate Stripes & Dark Chocolate. Filled Donuts - 100% Eggless Donuts. Irresistable Nutella Spread Inside & Mouth Watering Milk Chocolate Outside. Filled Donuts - 100% Eggless Donuts. White Chocolate Full Of Crushed Oreo Cookies. Filled Donuts - 100% Eggless Donuts. Dipped With Dark Chocolate & Filled With Bavarian Custard Giving A Retro Feel. Filled Donuts - 100% Eggless Donuts. White Chocolate Donut Filled With Yummy Raspberry & Topped With Red Velvet Flakes. A Perfect Treat For Raspberry Lovers. Filled Donuts - 100% Eggless Donuts. Tempting Dark Chocolate Donut Filled With Dark Ganache And Drizzled With Dark Chocolate Cream. Filled Donuts - 100% Eggless Donuts. No Fuss, No Fills Just The Regular Glazed Classic. Ring Donuts - 100% Eggless Donuts. Doughnut Glazed & Dusted With Cinnamon Sugar. Ring Donuts - 100% Eggless Donuts. Old Fashioned Milk Chocolate Donuts Chocked Full Of Luscious Cream And All The Colors Of The Rainbow. Ring Donuts - 100% Eggless Donuts. Drizzling White Chocolate Along With Dark Chocolate Makes This Every Chocoholics Fantasy. Ring Donuts - 100% Eggless Donuts. Milk Chocolate Stripped With Dark Chocolate & Dusted With Snow Sugar. Ring Donuts - 100% Eggless Donuts. Dipped With Yummy White Chocolate & Sprinkled With Dazzling Colors. Ring Donuts - 100% Eggless Donuts. Ring Donut Topped With The Vegan-Friendly Lotus Biscoff Biscuit Spread Making It An Exciting Combination. Ring Donuts - 100% Eggless Donuts. Fun For Kids Dipped With Milk Chocolate & Kids Favourite M&M Topping.